affective skincare. This he wanted to change. Therefore in order to implement his dermatological quality criteria he employed a highly qualified chemist who could take these dermatological concepts into the research laboratory and transform them into new, leading-edge products. At a conference for chemists in Heidelberg in 1988 Dr. Henrich met Dr. Thomas Baumann. 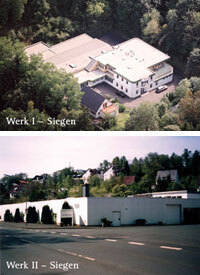 Together they founded DR. BAUMANN COSMETIC GmbH in 1990, after which the first products were successfully developed over a two-year research period. From the start sales and distribution took place only through qualified cosmetics institutes which could ensure expert skin analysis and consultation. Because the Dr. Baumann SkinIdent name stands not only for product quality but also for quality consultation and client service. After Dr. Henrich had established which substances should be done away with for dermatological and health reasons, he had to determine the ingredients and active substances which offer the best compatibility, have a clearly positive effect on the skin and which are found naturally in the body and the skin e.g. substances and vitamins which are endemic or related to the skin. The benefit of substances which are endemic to the body or skin lies in their compatibility, as they do not trigger allergies. These optimal substances were ascertained by Dr. Henrich and Dr. Baumann to be preferable. In 2003, after fifteen years of research came the breakthrough: DR. BAUMANN COSMETIC GmbH could present the world’s first and only skincare line consisting exclusively of skin-endemic substances and vitamins: SkinIdent. Only then was the optimum in skincare achieved which had been worked towards for so many years. From the beginning the criteria of compatibility and effectiveness played a crucial role, and it quickly became clear that DR. BAUMANN COSMETIC needed to conform to the ethical criteria of environmental and animal protection. In their commitment to caring for the health of people, Dr. Henrich and Dr. Baumann underwent a process of ‘ethical maturation’. One does not want to achieve success at the cost of animals and the environment. On studying the facts it quickly became clear that so-called “production animals”, used to produce ingredients for cosmetics and foodstuffs, often suffer terribly in the process of being bred and slaughtered. On these grounds it was self-evident that no animal ingredients should be used. The SkinIdent AG has never conducted animal experiments or commissioned animal experiments. The SkinIdent AG would like to protect the environment as far as possible. This led to the relinquishment of unnecessary packaging materials, as the packaging has nothing to do with the effectiveness or compatibility of the products. According to a 2003 UN statement, the world-wide production of waste is becoming a major problem. * essential oils in certain specialised products for specific areas of application are labelled in accordance with legal requirements, as essential oils contain fragrances which pose an increased risk of allergy. We do this consistently in the interests of people interested in health and nourishment. It should also not be forgotten that consuming meat causes massive environmental problems. It requires on average 16 kg of vegetable matter and between 10,000 and 20,000 litres of water (10 to 20 tonnes of water) to produce only 1 kg of meat. Vegetables are exported from developing countries to be used as feed for animals in mass stock farming. And in the third world adults and children are drying of hunger. Enormous amounts of liquid manure from animal farming are contaminating our ground water and our environment. For the production of milk, cows must regularly be impregnated in order to keep up their flow of milk. After the birth the calves are immediately taken away from their mothers. If one realises how strong the mother-child relationship is in these animals, it becomes clear what appalling suffering is being inflicted on them. Because too many calves are “produced” the excess are destroyed. The EU uses our tax money to pay for the so-called “Bounty of Herod”, the abhorrent premium paid for the killing of newly born calves. Most eggs are laid by hens in laying batteries, in which the animals spend their entire lives excruciatingly penned together in a tiny space not even as large as a sheet of A4 paper. Even German’s highest court, the Federal Constitutional Court, already criticised this practise in 1999 as cruelty to animals. However up until today they have made no changes to the suffering of these animals. In the breeding of laying hens approximately 50% of the hatchlings are male chicks, which are pulverised or gassed. The SkinIdent AG distances themselves as far as possible from this association with animals and has therefore for years supported child and animal protection projects world-wide. Two examples are: The SkinIdent AG is one of the main sponsors of the world’s largest animal protection organisation PETA in furthering animal rights. Besides many other projects they also finance the Vegeterra Foundation’s youth prize. At the SkinIdent AG clients receive an integrated range of skincare products, SPA wellness products and decorative cosmetics as well as dietary advice and nutritional supplements. The variety of products is so comprehensive that it serves all skin types, men and women, people of all ages (including children and teenagers) and clients of any income. A focus at Dr. Baumann SkinIdent is home skincare, as treatments in cosmetic institutes are not adequate to achieve optimal skin condition. Because an institute cannot repair skincare mistakes which have been made at home. On the other hand, one can achieve optimal skin condition at home using Dr. Baumann SkinIdent products without having treatments at an institute, so long as no skin problems exists which make professional treatments necessary. The growing popularly of Dr. Baumann SkinIdent products indicates that it was and is correct to consistently focus on caring for clients and their skin, in order to achieve the best long-term success. The directors, Dr. Henrich and Dr. Baumann, are still fully engaged in working on and researching the best health and beauty care for their clients. You can count on this always being the case!